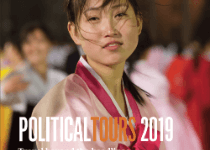 As the world’s first and only global political tour operator we pride ourselves with being able to create Tailor-Made Tour itineraries to suit most groups’ needs, and at short notice. Our recent clients include politicians, NGOs and universities. We also have experience of creating more leisurely Bespoke Tours for small groups of travellers, including families or individuals who just want a stimulating break. If you would like to speak to Nicholas directly about arranging your own private tour please call him on +44 7855 266 151, or email [email protected], or call our office in the UK on +44 (0) 843 289 2349. Nicholas Wood once again received the Condé Nast Traveler Top Travel Specialist award. “An extraordinary trip and an extraordinary host. One of the most important trips of my life.” Exploring South Africa accompanied by Political Tours expert Peter Sullivan, this bespoke itinerary was tailor made by us last year. “We traveled to South Africa to delve deeper into the history of apartheid and to see the country’s extraordinary journey to becoming a functioning shared democracy. We met with past and present leaders in government, business, and the media. We also met some of the luminaries in the struggle against apartheid. Our personal tour guide was Peter Sullivan, the Editor-in-Chief of one of the leading newspapers. Charming, brilliant, and indefatigable. We met with the former President of South Africa and spent close to one hour in a private meeting discussing the outcome of the most recent municipal elections, the days when he was in exile, and the early days when Nelson Mandela was first released from prison. We met with Denis Goldberg, the famed political activist who was sentenced with Mandela to life imprisonment at the Rivonia Treason trial and served 22 years. He discussed the frustration of corruption today. We were interested in Steven Biko, his story, and his role in black consciousness and the struggle against apartheid. We met with the current head of his foundation and learned about his family’s plan to secure his legacy and further economic development and hope in the Eastern Cape. Nicholas spent months with me organizing every detail of the trip. We included a visit to the Maropeng, the Cradle of Humankind UNESCO World Heritage Site and met Professor Francis Thackery, a world renowned paleoanthropologist who toured the site with us and shared lunch to discuss his life’s works. In 2009 and 2010, Political Tours worked with the Kosovo branch of the Open Society Foundation, KFOS, to bring a group of Spanish Foreign editors to the region on a Kosovo Tour. Political Tours identified the relevant journalists in Spain and organised their trip to Pristina where they met with senior Serbian and Albanian leaders including the President and Prime Minister of Kosovo. The group was briefed by the heads of the leading international missions in the region, the ICO and EULEX, as well as the NATO led peace-keeping force, KFOR. They also travelled to villages and towns to see political, economic and social problems first-hand. Francisco Herranz, Foreign Editor of El Mundo. SE1 United works to improve the lives of youths affected by inner city crime and gang culture. They wanted to take a group of young people who were at risk of offending and introduce them to people who have been through equally or more challenging situations. Operating on a very tight budget, Political Tours created a five day tour of Kosovo that included briefings with the military, Kosovo’s music scene, politicians and ordinary Serbs and Albanians. Jacob Whittingham, Director of SE1 United. Bradford University’s Peace Studies department (CICS) hired Political Tours to organise two study tours on behalf of the UK government’s Chevening Fellowship Programme, an academic course for mid-career professionals from around the globe. For the first tour, Bradford wanted to examine co-operation between international institutions in a post conflict environment. For the second, they wanted to look at the role of democratic institutions in Turkey over the past two decades. Political Tours took the first group to Kosovo to meet with representatives of key local and international institutions in Kosovo (EULEX, ICO and the UN). We also arranged visits to local communities to examine the social and economic challenges facing the country. At the end of their 8 day trip Political Tours arranged a seminar in which the Chevening Fellows worked in small working groups alongside advisors from the UN, UNDP as well as local analysts. In Turkey, Political Tours organised meetings with members of the government, the opposition as well as members of the media and civil society. The 6 day programme, which was set up with just 4 weeks notice, included a visit to the Turkish parliament in Anakara, as well as round-table meetings with think tanks in Istanbul. The European Stability Initiative, a think tank that is examining Turkey’s candidature for European Union membership, guided the group for much of the tour. David Lewis, Senior Lecturer, Bradford University’s Centre for International Cooperation and Security (CICS), UK. Matthew H. sought our help in arranging a meaningful tour through the Caucasus. He and his wife were looking for an experience that went beyond the standard cultural tour. We helped arrange a suitable itinerary that incorporated the most interesting historical and current aspects of the region including access to our analysts who provided insights into recent historical developments and the latest social trends. Matthew H. A private client based in Hong Kong.